Heat 2 tablespoons of olive oil in a large skillet over medium heat. Add the carrots and 1/2 teaspoon of the salt. Cook until the carrots begin to soften, about 4 minutes. Add the zucchini and the yellow squash and the remaining 1/2 teaspoon salt. Cook until the zucchini is tender, about 2 minute. Add the chicken sausage and cook for 1 more minute just to warm it up. 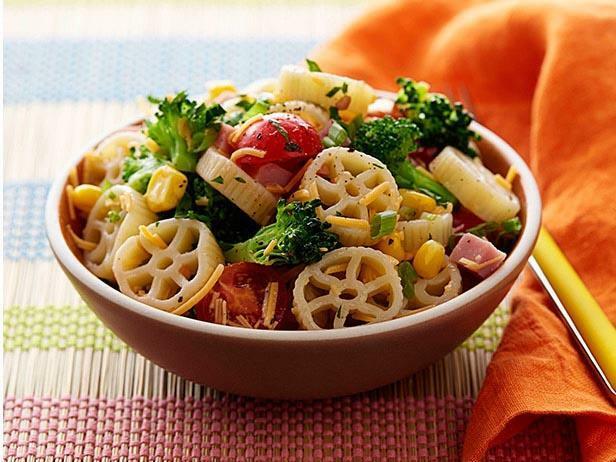 In a large bowl add the cooked pasta, veggies and the sausage. Gently toss it. Add the tomatoes, lemon juice, lemon zest, chopped basil and salt and toss it a little more.